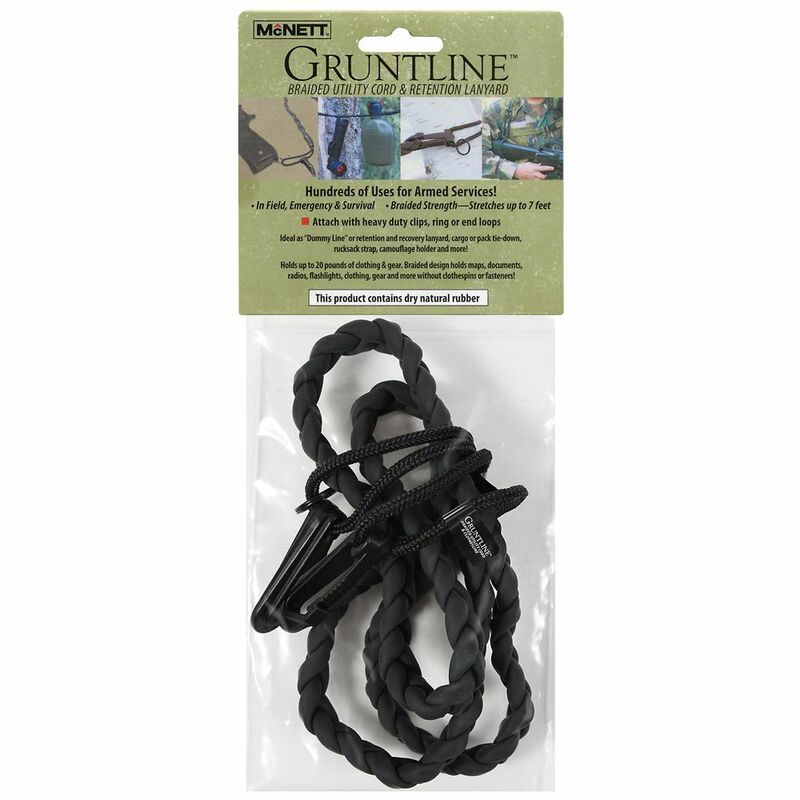 Gruntline Is A Braided Highly Elastic Natural Rubber Cord That Stretches Up To 7 Feet. Easily Attaches To Trees Tents Packs Belts Vests Lockers Interiors Of Trucks/personnel Carriers Tanks Planes Helicopters Ships Submarines And More! , Hundreds Of Uses For Armed Services! , Holds Up To 20 Lbs Of Clothing & Gear , Braided Strength Stretches Up To 7 Feet. Attach With Heavy Duty Clips Rings Or End Loops. , Braided Design Holds Maps Documents Radios Flashlights Gear Clothing & More Without Clothespins Or Fasteners. , Use As A Tie-down Strap To Secure Heavy Items , Ideal As A ''dummy Line'' Or Retention & Recovery Lanyard Cargo/pack Tie , Down And More.